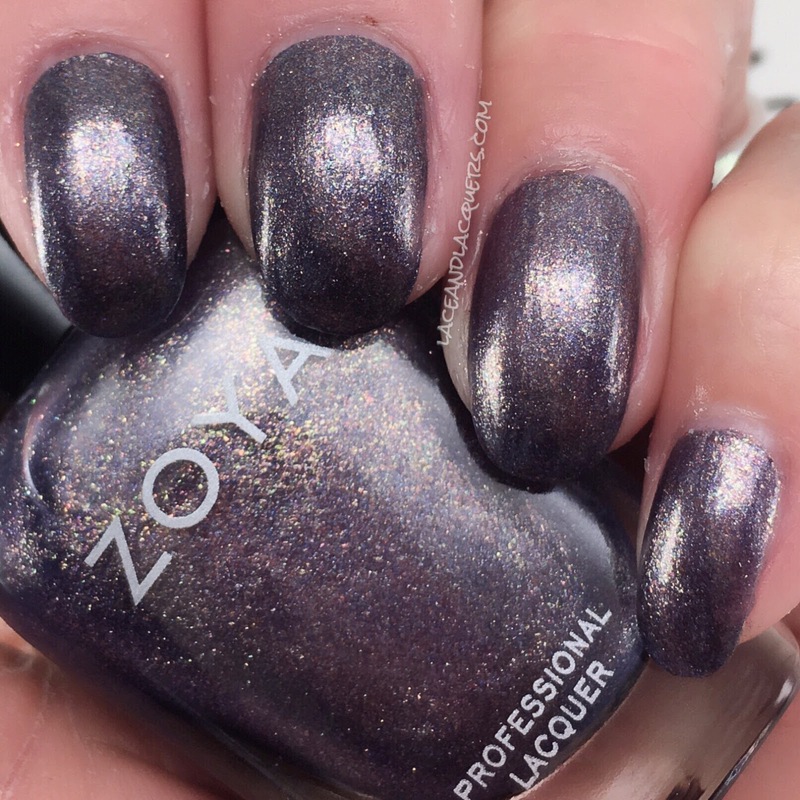 Today I'm swatching the second half of the Zoya Fall 2018 Elements Collection, mostly blues and purples. If you missed Part I, click here to check out the rest of the collection. This half definitely gives off more Fall vibes than the other polishes. Check them out after the jump! 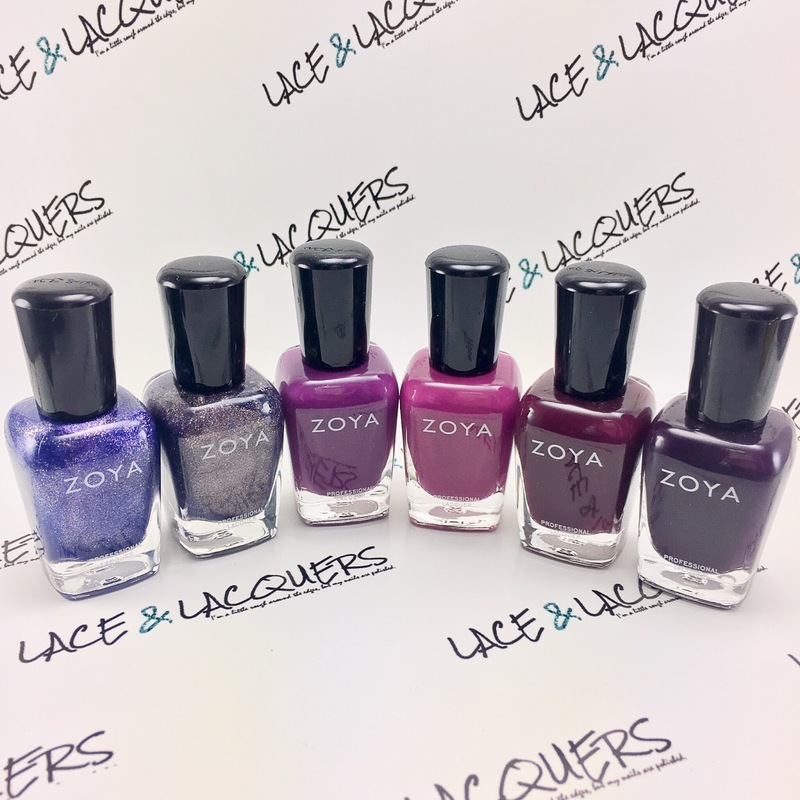 Gardner is a "deep periwinkle with a vibrant magenta shimmer in a dense foil finish." 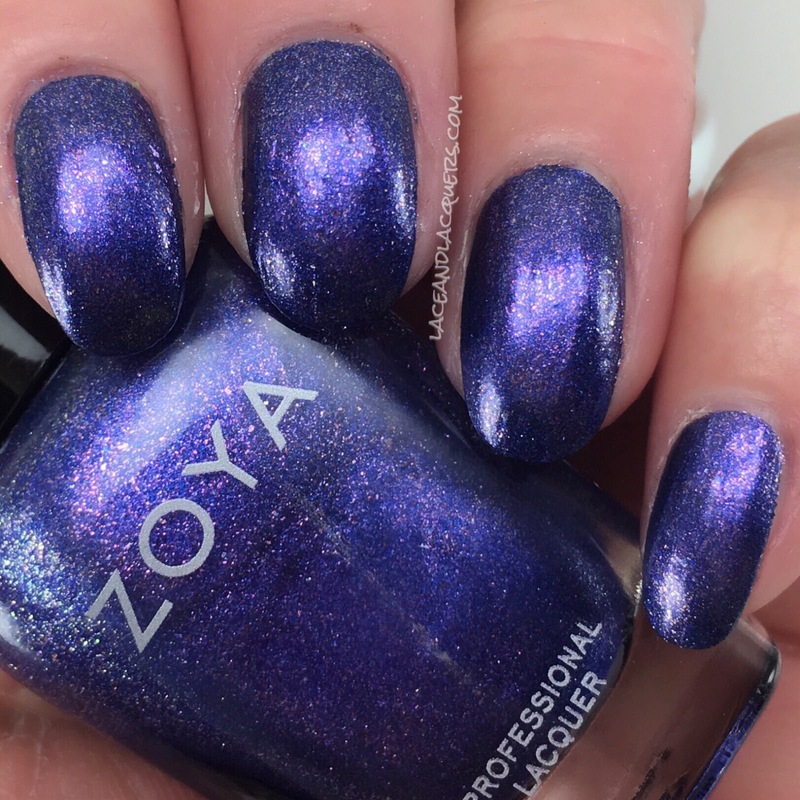 I love this shade of blue and the gorgeous shimmer. I think Gardner is probably the most interesting polish in the whole collection. I did 3 coats of Gardner. 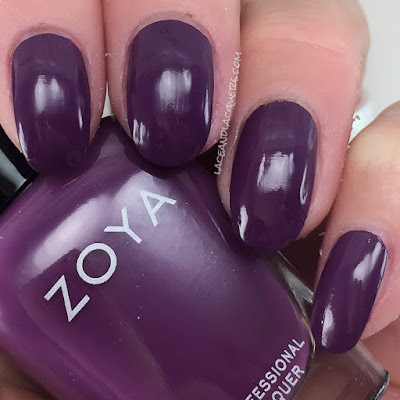 This has a nice application and a quick drying formula that makes 3 coats easy to do. Devin is a "steel blue with hints of multicolored shimmer in a dense foil finish." This is a very interesting polish, while it is a blue it definitely gives off a a gunmetal vibe. Not a polish for me, its very pretty. I did 2 coats of Devin. This polish was a little more opaque than Gardner, but it also quick drying. 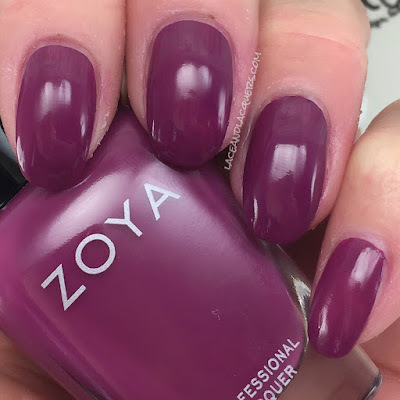 Maeve is a "full-coverage concord grape cream." 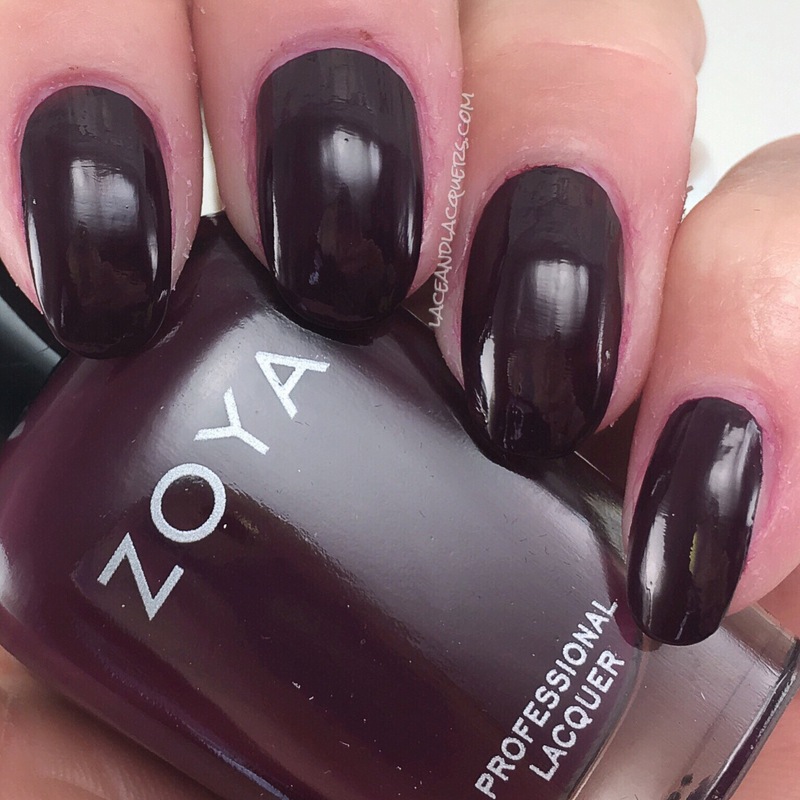 Now THIS is a Fall polish. Such a beautiful shade of purple, dark but not too dark. I love it! 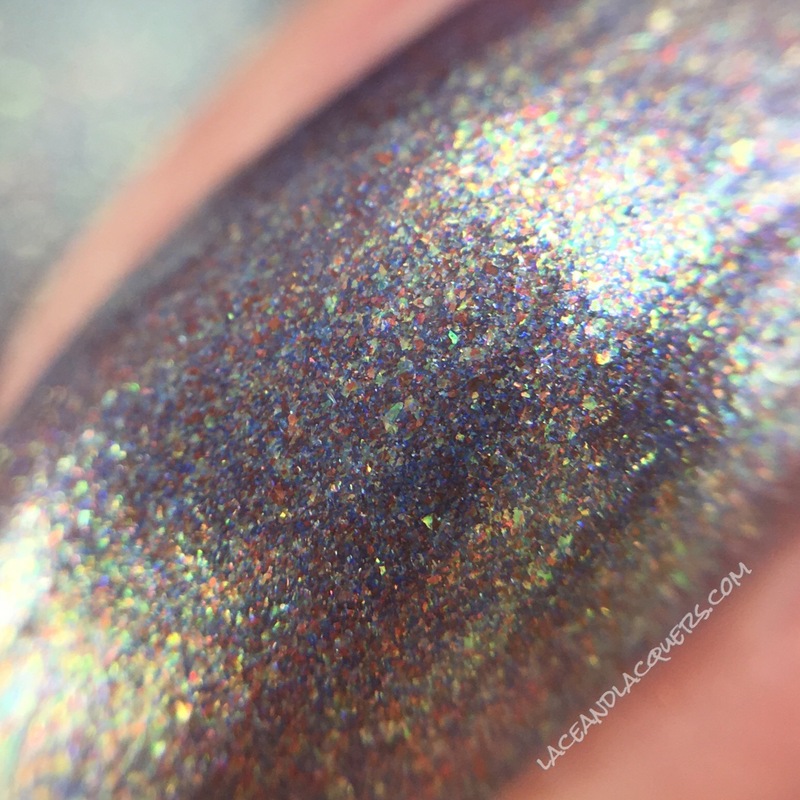 There used to be a Julep polish I was obsessed with, Gayle, and this reminds me so much of it. I did 2 easy coats of Maeve. No issues with app or drying. Donnie is a "purple-toned sangria cream." Loving this shade of purple, too! I had a Revlon nail polish that was released in the early 00's that I wore allll the time. Sadly it dried up a few years ago and thinner couldn't even save it, so this is a great replacement! I did 2 coats of Donnie. 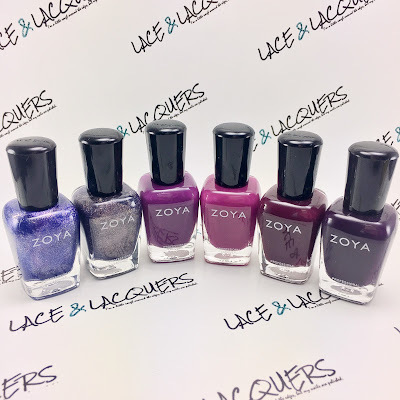 It has the classic, perfect, Zoya cram formula. Rachael is described as a "mulberry berry cream." This veryyyyy dark red is the perfect vampy color for fall. I did 2 coats of Rachael. The application and dry time was great, however staining around my cuticles and skin was an issue. If you were to wear it as a manicure (not for swatches) I'm sure a hand wash and a shower would take care of the staining. Leighton is a "blackened aubergine cream". I wasn't expecting this to be so dark! 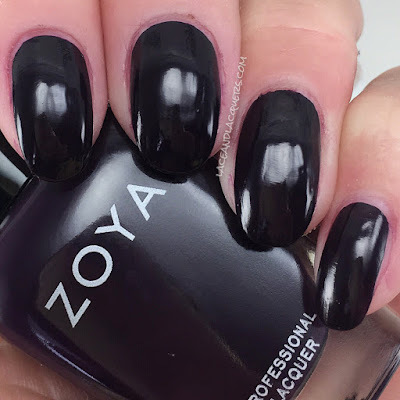 If you wear black polish often, Leighton is a great polish to get the black polish look without being a black polish. It reminds me of an olive for some reason lmao. I did 2 coats of Leighton. No issues with the application or dry time! And there you have the rest of the Elements Collection! It's hard for me to choose a favorite because I love all the purples! Which is your favorite?